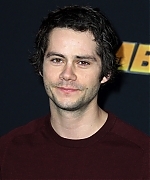 Public AppearancesPhotos of Dylan attending various movie premieres, award shows, television shows, and other events. 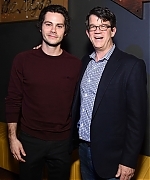 CandidsPhotos of Dylan out and about. CapturesScreencaptures of Dylan from various interviews, appearances, and online videos. Film ProductionsPromotionals, stills, posters, and screencaptures from films Dylan has been in. Magazine ScansScans of Dylan from various magazines around the world. Photoshoots & PortraitsPhotos of Dylan posing for different shoots taken by professional photographers. Television ProductionsPromotionals, stills, posters, and screencaptures from television series Dylan has been in. There is 1 registered user. The newest registered user is emily. In total there are 59 visitors online: 0 registered users and 59 guests. Most users ever online: 118 on 12/26/16 at 15:59. Registered users who have been online in the past 10 minutes: .